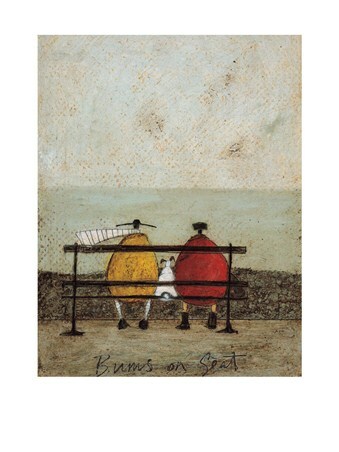 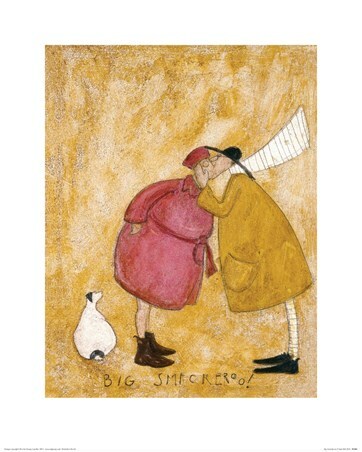 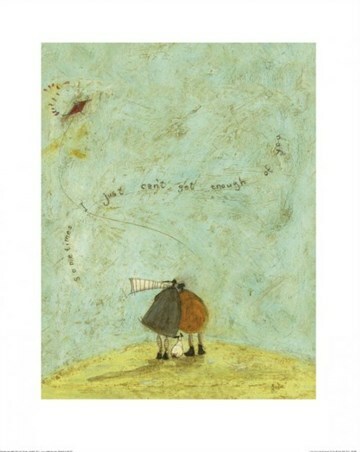 Art Litho Print: Fill your home with an air of romance with the help of this charming illustrated print by the talented artist Sam Toft. 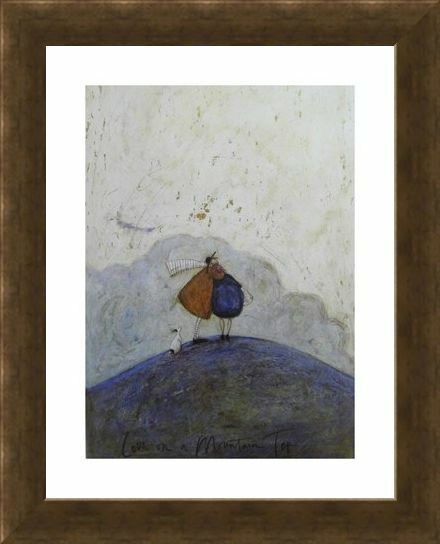 High on a mountain top with the clouds on the horizon, Mr Ernest Hemingway Mustard and his beloved wife Violet Mustard share a loving moment as they gaze up into the dusky skies. 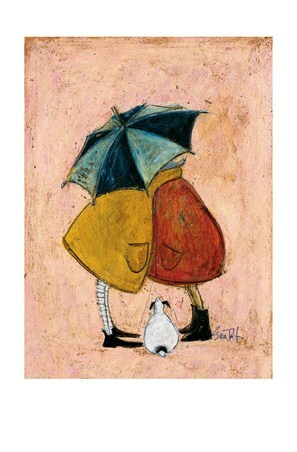 Looking up from behind them, their chubby little dog Doris tries to make herself feel like part of this wonderful moment. 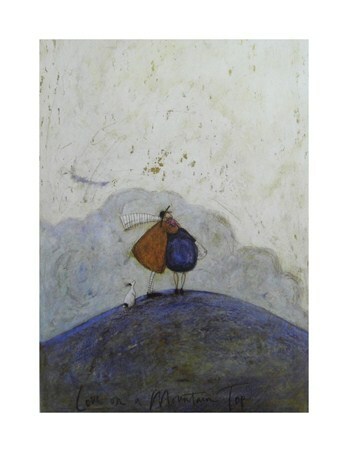 Using pale shades and soft lines, you can now admire another truly heart warming piece by one of Britain's most unique and inspiring contemporary artists. 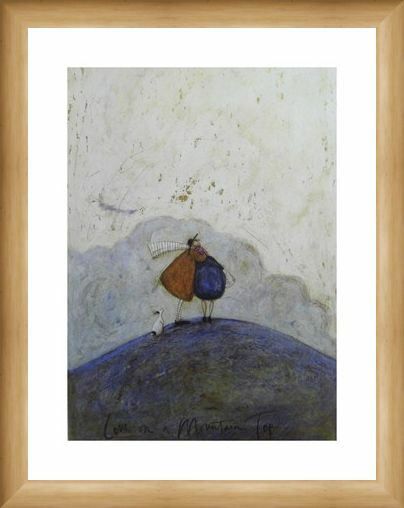 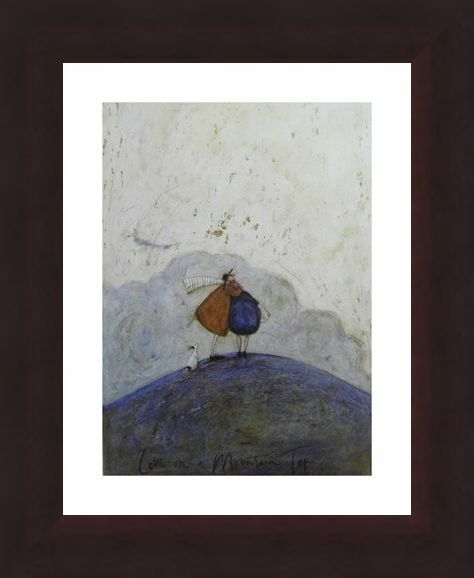 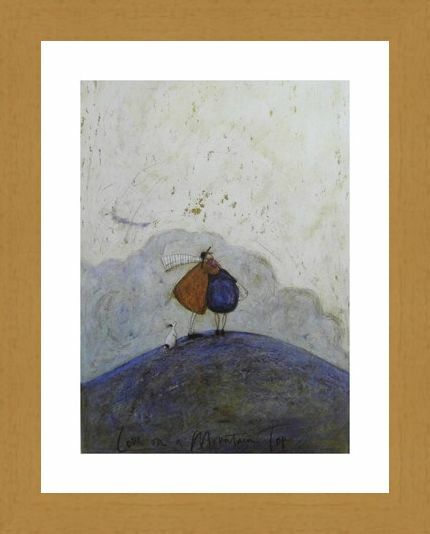 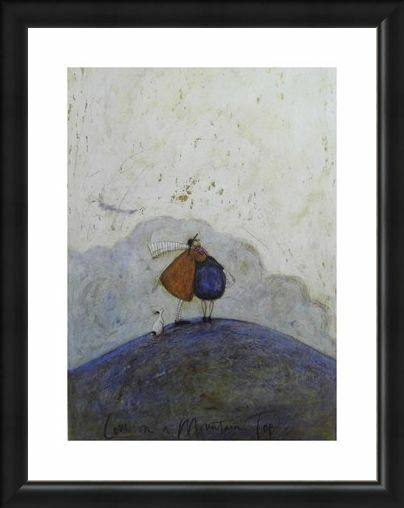 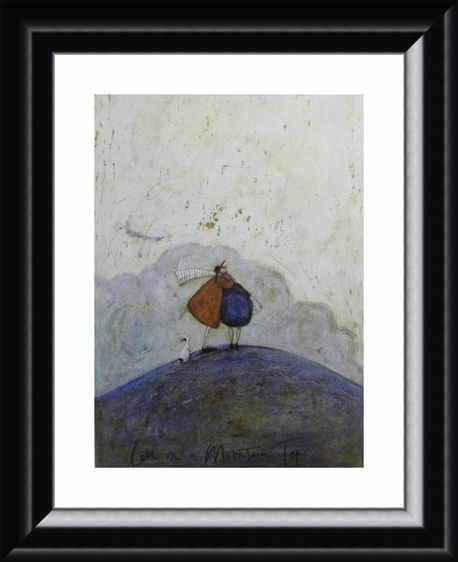 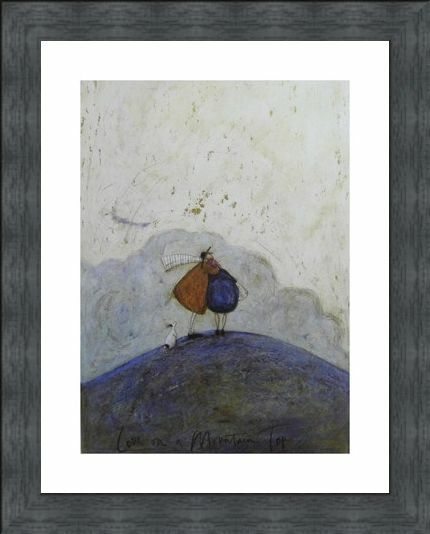 High quality, framed Love on a Mountain Top, Sam Toft print with a bespoke frame by our custom framing service.